Let the Academy Horse Program eliminate the stresses of horse training. Clinton and his clinicians have the time, experience and the best training method to help you discover your horse’s true potential. No matter if you have a colt that needs started, a horse with a longstanding problem or just lack the time and consistency to train your horse yourself, we’re here to help. Along with world-class training, you’ll receive a lifetime of support. About The Program What Will My Horse Learn? Level 1 of the Academy Horse Program is dedicated to teaching your horse the entire Fundamentals level of the Method®. Groundwork and riding exercises designed to earn your horse’s trust and respect comprise the Fundamentals and are the foundation to establishing a safe and enjoyable partnership. The Academy Horse Program is for those who are passionate about the Method and are serious about getting results. You’ve seen the softness and control Clinton has of his finished horses, this is the foundation to achieve that level of finesse. One of the world’s most sought-after clinicians, Clinton has dedicated his life to helping others realize their horsemanship dreams and keeping them inspired to achieve their goals. Born and raised in Australia, Clinton grew up with a love of horses, and by the age of 15 was apprenticing with some of the best trainers in the country. 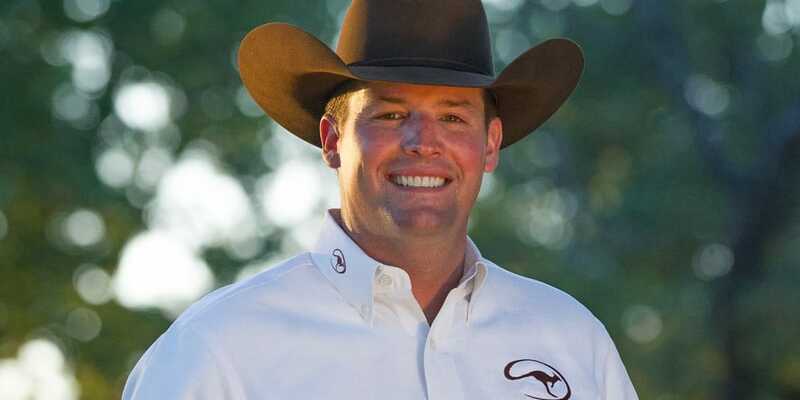 In 1997, he came to the United States where he continued pursuing his passion for horses and established Downunder Horsemanship and his renowned horsemanship method. Clinton’s Method is based on mutual respect and understanding, and gives you the knowledge you need to become a skilled horseman and train your horse to be a more consistent and willing partner. Having helped thousands of horse owners, the Method is a proven formula for success. Better understand the way your horse communicates. Improve your confidence and horsemanship knowledge. When you send your horse to the Academy for training, you get Clinton’s guarantee that your horse will execute the Fundamentals to the best of his ability. With over 25 years of experience working with problem horses and starting colts, Clinton’s got the experience and knowledge to know exactly what a horse needs to excel and live up to his full potential. Shana started studying with Clinton and learning the Method when she was 14 years old, and completed the rigorous apprenticeship program in 2009. Shana has traveled the country teaching hundreds of horse owners how to better communicate with their horses using the Method. Clinton considers the experienced horsewoman his top hand and a Method expert. Today, Shana is living her dream of training horses, teaching clinics and helping with the Academy as a Clinton Anderson Professional Clinician. 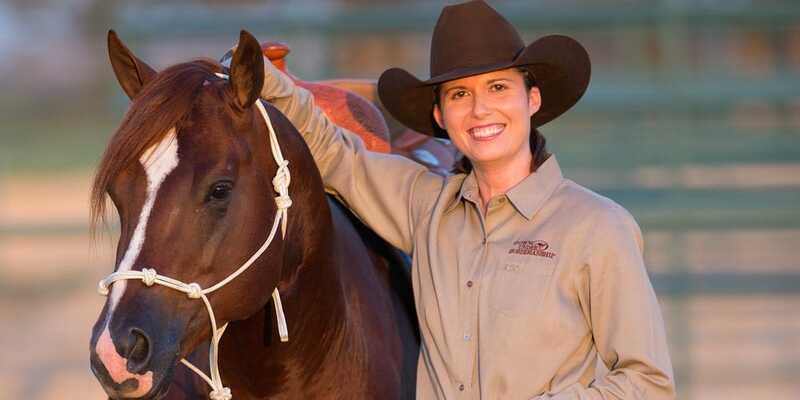 Her passion for learning and for helping people improve their horsemanship has never wavered, and her ability to help horse owners improve their training techniques and her insatiable desire to learn make her an outstanding teacher and communicator. Clinton and Shana oversee the Academy Horse Program and work with Academy students on a daily basis to ensure each horse is being trained properly in the Method and meeting Clinton’s high level of expectations. Clinton selects each Academy student for their outstanding skills as horsemen, communicators and their desire to share the Method with horse owners. 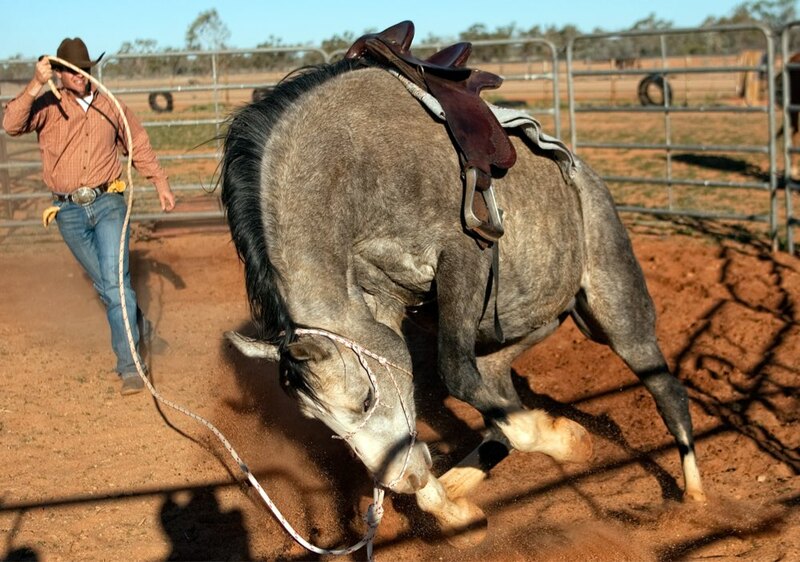 The clinicians who train Academy Horses live and breathe Clinton’s approach to horsemanship and have been tested in-depth over their knowledge of the Method. 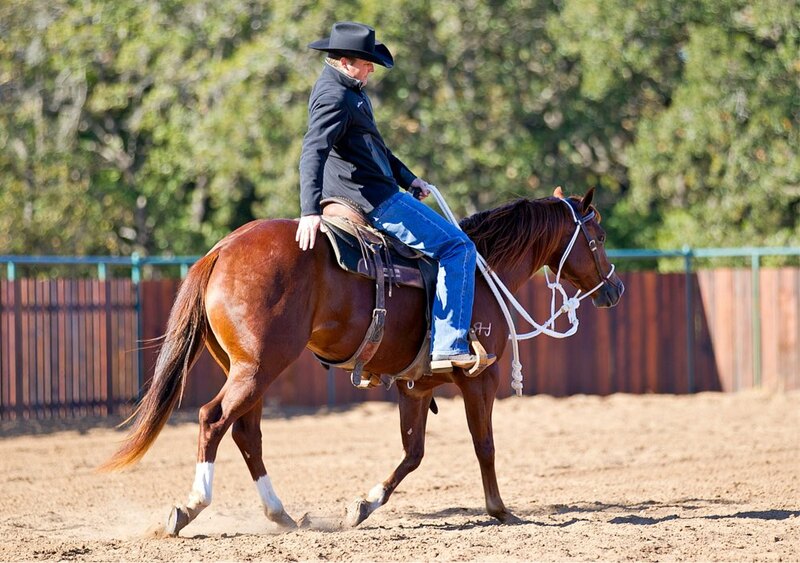 With the Downunder Horsemanship name riding on each horse, you can rest assured Clinton and Shana are very much involved in the daily training of the horses and are committed to seeing that each horse reaches the best of his potential at the Fundamentals Level. The perfect solution for owners who want willing, respectful horses they can trust in the arena and on the trail. All problems are caused by a lack of respect or fear, or in some cases, both. No matter what the source of your horse’s problem, the Fundamentals is the answer to earning his respect and trust. If you don’t want to give up on your horse, the Academy’s boot camp-like training program is the solution. Our success in turning horses that have been deemed dangerous and hopeless cases into willing partners is unparalleled. We’ll give your horse the opportunity to prove he’s a reliable partner full of potential. A truly broke horse needs equal doses of long rides, wet saddle pads and concentrated training. Unfortunately, there are times in life when your schedule doesn’t allow you to work consistently with your horse. We dedicate 2 ½ hours a day, 6 days a week to each training horse in order for them to be safe and respectful partners. Your horse will learn essential groundwork exercises, be ridden in the arena, on the trail, with other horses and worked extensively over an obstacle course. By the end of his training, your horse will have a great foundation in place for you to build off and go on to excel in the discipline of your choice. You may have the best intentions in the world, love your horse unconditionally and have an unlimited amount of time to dedicate to working with him but lack the knowledge and experience to train him. That’s where we step in. We’ll develop a safe, respectful partner for you to not only have fun with, but with his training he will make you a better horseman. Your horse’s knowledge of the Fundamentals will help improve your confidence, fine-tune your horsemanship abilities and make the time you spend with your equine partner more enjoyable. Learn about each level of the program and the exercises your horse will be taught and why Clinton believes it’s essential for horses to excel at each one. The six-week course covers the Fundamentals level of the Method, teaching your horse the basics of trust, respect and control. Along with arena work, your horse will receive extensive training on the trail and over the obstacle course. By invitation only, the second level of the Academy Horse Program focuses on the Intermediate groundwork and riding exercises. More emphasis is put on softening and suppling the horse’s five body parts: head and neck, poll, shoulders, ribcage and hindquarters. The training session is approximately five weeks in length. After completing the Intermediate training, horses are selected by Clinton to continue their training at the ranch and will be taught the Advanced level exercises. The third level of the Method is all about finessing the control you have of your horse on the ground and under saddle. Your horse will spend approximately five weeks learning the Advanced exercises. At the end of your horse’s training, you will have the opportunity to work with your horse at the Downunder Horsemanship Ranch. Your horse will receive the best training and you’ll get to spend an entire day at the Downunder Horsemanship Ranch learning what he’s been taught from the clinician who trained him. You’ll be encouraged to ask questions and will learn to refine your skills as a horseman. You’ll work with your horse in the arena, on the obstacle course and on the trail to ensure you thoroughly understand how he’s been trained and you are both in tune with each other. Your horse will be ridden extensively outside the arena so that he is comfortable on the trail and a reliable and safe partner no matter where you take him. Clinton is a firm believer that all horses should go down the trail relaxed on a loose rein, and your horse will be no exception. In fact, your horse will spend the majority of his lessons working outside of the arena. There’s no better way to challenge a horse and keep him interested in his training than by working him over obstacles. The ranch’s intricate obstacle course includes a variety of challenges horses have to think their way through and learn to trust their handler. Obstacles include: hills, ponds, trenches, bridges, a cowboy curtain, ground poles, banks and a variety of jumps among many others. After completing the training program, there won’t be any obstacles on the trail your horse won’t be able to calmly negotiate. On the day of your lesson, you’ll witness your horse handling each obstacle with confidence. Typically, when a trainer sends a horse home, he doesn’t want to hear about any problems that develop. We’re the complete opposite. If you run into trouble with your horse, we want to hear about it immediately and help you through the situation. When you send your horse to the Academy, you receive a lifetime of support. After a scary riding situation left Audrey's confidence shaken, she and her husband turned to the Academy Horse Program to get their Paint gelding, Apache, trained. When Debbie began working with Cimmy, a 7-year-old half-Arab gelding, he had an attitude and a serious case of self-protection, trusting no one. When Debbie began working with Cimmy, a 7-year-old half-Arab gelding, he had an attitude and a serious case of self-protection, trusting no one. Although Debbie was employing the knowledge she was learning from Clinton’s Fundamentals Series to gain Cimmy’s trust and respect, the horsewoman was seeing very little improvement in his behavior. “My work schedule makes me so inconsistent with his training that I couldn’t do more than two or three days at a time. Then I’d go back out to work with him after a few days and basically have to start over again,” Debbie shares. When Debbie learned of the Academy Horse Program, she knew Clinton and his students would give Cimmy the consistency he needed to be the calm, trusting and responsive horse she knew he could be. “When I saw Cimmy start the obstacle course the morning of my lesson, I was just in awe. To see a horse that was like he was before the Academy doing it was amazing. It was an incredible moment,” she shares. After being trained at the ranch, Debbie says Cimmy finally trusts people. “It’s done miracles for him,” she affirms. Judy bought her first horse, Moonie, an Arab/Quarter Horse cross, at the age of 50 from a friend who told her about Clinton and the Method. Charles and his wife have been involved with horses for most of their lives, and know a good trainer and a good horse when they see one. Charles and his wife have been involved with horses for most of their lives, and know a good trainer and a good horse when they see one. There was no doubt in Charles’ mind that his 12-year-old Paint gelding Jim was a good horse and that Clinton has the best training method, so when he decided to get Jim broke to ride, the Academy Horse Program was his first choice. “Jim was decently started as a 2-year-old, but then was used for breeding and was kicked out for several years after he was gelded,” Charles explains, and says that the former stud just needed steady miles put under his feet. When Charles came to pick Jim up from the ranch and received his lesson from Certified Clinician Chris Webb, his belief in the Method was confirmed. “This horse has always been athletic and laidback, but what Chris was able to do with him was impressive, especially how he got him over the obstacle course,” Charles shares. 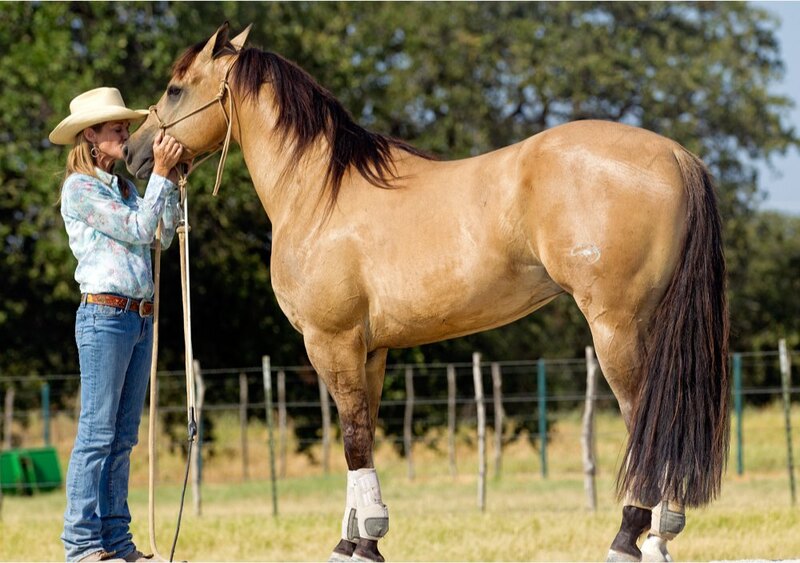 When Lisa dropped her gelding Joker off at the ranch for the six-week Academy Horse Program, she left a young horse that had only been taught to lead with the halter. When Lisa dropped her gelding Joker off at the ranch for the six-week Academy Horse Program, she left a young horse that had only been taught to lead with the halter. When she arrived at the ranch for her lesson day, she picked up a willing 2-year-old that acted like a well-broke ranch gelding. Sitting on Joker’s back for the first time was an exhilarating experience for the Texas horsewoman. “I couldn’t ask for a better program to start my horse. I’ve had many horses started by many different people and by far this has been the best. I would not trade this experience for anything. It has been the best program I have ever encountered,” Lisa shares. Before coming to the Academy, Sundance had a nasty habit of bucking under saddle and was constantly on guard, suspicious of everything around him. Your horse will learn to excel at the Method, and you’ll receive one-on-one instruction and a lifetime of support with your horse. We are currently not accepting new Academy Horses for training at the ranch. All of our Professional Clinicians and Method Ambassadors, who trained extensively with Clinton and are located around the United States and in Australia, train horses for the public. Please contact a clinician or ambassador directly to schedule a training session for your horse.